• Is island living affordable? • How difficult is it to become a legal resident? • How popular is Roatan? • Looking for a second career? All of these questions are important. Let’s take a look at each. It depends on how you live. If you are a fan of Capt’n Crunch cereal, frozen White Castle Hamburgers, and specific food items, you need to remember that those favorite brands are imported from the United States and will cost more. If you are a fan of a variety of fresh fruits, fresh vegetables, and seafood, you are in the right place. We are working on a list of a variety of items to show costs here. Watch for this in an upcoming newsletter. How difficult is it to become a legal resident? The U.S. is a leader in quality health care, and although few places can compare with the amount of money spent on research and care in the United States, there are medical facilities on the island with modern equipment and quality medical professionals. In addition, there is an ambulance service, which runs twenty-four hours a day, medical air evacuation, and a variety of medical specialists on the mainland in Honduras. In addition, Medicare may be available to you based on Passport benefits along with various insurances. That being said, overall costs for prescriptions here are far less than they are there with most nonnarcotic prescriptions available over-the-counter in the United States. Tune in next month as I answer questions about the following: telecommunications, making new friends, things to do, language concerns, shopping, WIFI/internet connections, and the cost of living. Many people now have Roatan on their radar. 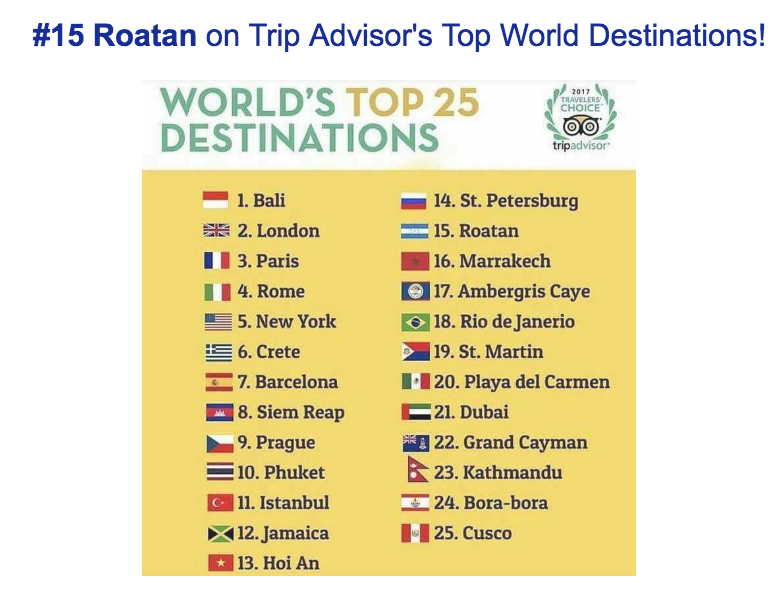 In fact, according to Trip Advisor Roatan is number fifteen on the “Top Twenty-Five” tourist locations in the WORLD! 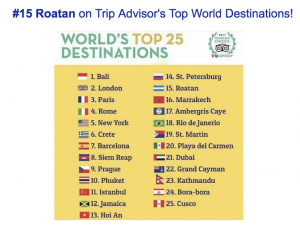 Yes, Roatan ranks above Costa Rico, Nicaragua, Panama, Belize, Chicago, Los Angeles, and many other locations. Things are looking good for your investment dollars in real estate here in the Bay Islands. What does island living mean for those considering a second career? Starting a second career here has substantial financial advantages. Although you must file taxes if you are a U.S. Citizen, there are over a $100,000 of possible tax deductions on any money that you make offshore. You can get more details below in the next section “Foreign Earned Income Tax Credit”. The Mariposa subdivision features beautiful ocean view and waterfront lots in a quiet, tranquil setting on Caribe Bight, which has been described by many as the most beautiful harbor on the island. Located in the Jonesville Point area, about twenty minutes from nearly all services on the island, this development boasts a number of attractive amenities. These include underground utilities with excellent water supply, a beautiful , well protected harbor for boats with free dock use to owners, white sand beach area , and a quiet, hassle free environment where you can build your dream home in peace and privacy. Brand new price reductions on choice lots make this a spot you must see while looking on Roatan for your place in the sun. NEW – Grand Keyhole -Unique micro development -Walk to West Bay Beach. If you are looking for a great place to build a home, you really need to check this out! NEW – Playa Bonita offers an absolutely incredible location right in the heart of West Bay Beach – Roatan’s most popular beach. If you’re considering buying real estate in Roatan, this opportunity is a true gem. Playa Bonita is a popular Roatan vacation rental in West Bay, offering an income option if that suits your needs. Alternatively, you could live in Playa Bonita yourself, for a true island lifestyle like no other. Playa Bonita is a 4-bedroom duplex home right in the sand on West Bay Beach. NEW -Stunning luxury beach front bungalow over 7500 sq ft situated in French Cay! Villa has 5 bedrooms, 4 bathrooms, gourmet kitchen, large living room, double garage with lots of storage, private dock and beach!!! Perfect for an upscale B&B or family home! Brand new pizza oven and little casita onsite. HOT DEAL Great, Quality Home with Spectacular Views, Very Nice Area! NEW – This cabana will be a great opportunity for an avid scuba diver who is in search for a second home or just someone who is wanting to get away from the cold winters! The location a few minutes from airport, shopping, West End and West Bay makes this property a great rental. This open living layout, breezy house is a two bedroom, one bath, with double porch. Low HOA which includes security, water and landscaping, beach/pool and maintenance. NEW – Infinity Bay, West Bay Beach, is a ground floor 1 bedroom, 1 bath, tastefully decorated and well appointed unit steps to the infinity pool and white sand West Bay beach. Anyone who has research the island of Roatan knows that West Bay Beach is known as one of the top beaches in the world. Although if you do searches on properties for West Bay you will find many but the fact of the matter is that the majority of those are in the ‘community’ of West Bay or near West Bay, not West Bay Beach itself. If you search more you will find that at the beach itself there are hundreds of resort condos but very few homes. Why because there are very few homes there. Actually there are only 10 +/-. This is one of them. Rarely on the market, in demand, and if you are looking for a place on one of the top beaches in the world, (+/- 50 steps tot he water), you need to check out this duplex. Recently constructed home located in Greenwood Village in the welcoming community of Calabash Bight. The home is a 2 Bedroom and 1.5 Bathroom, a cozy living and dining area, a spacious kitchen and an open porch deck. 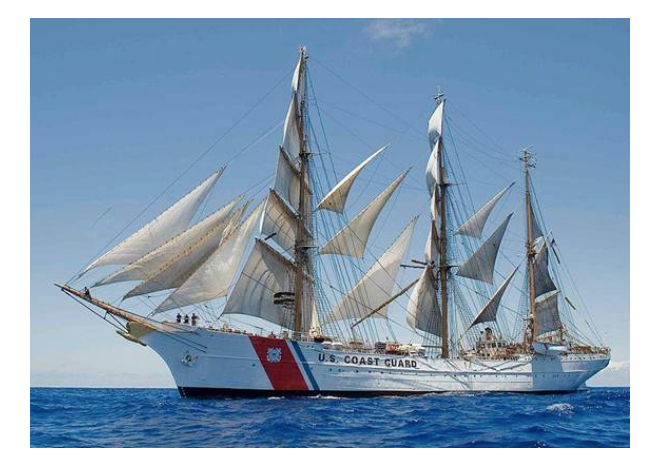 ONLY $126,000 U.S. Beautifully remodeled studio efficiency over looking the ocean along the iron shore in West End. These top floor units all have yearly sunset views, large balconies with floor to ceiling glass sliding doors offering endless ocean views!